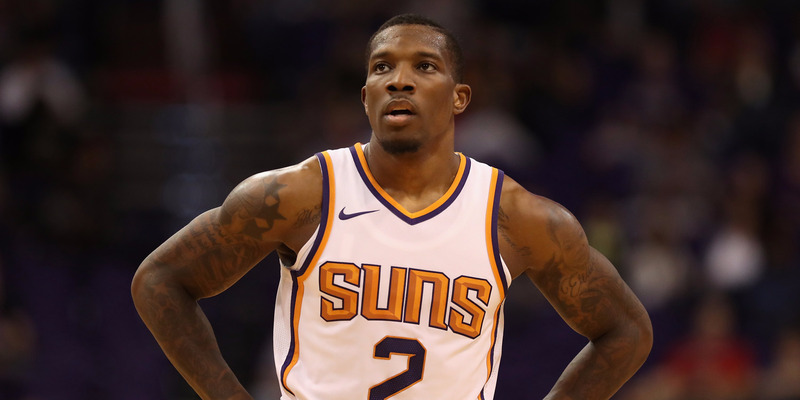 The Milwaukee Bucks and Phoenix Suns reportedly agreed to a trade to send Eric Bledsoe to the Bucks. The Bucks gave up little in exchange and could benefit from Bledsoe’s length, athleticism, and scoring to take pressure off Giannis Antetokounmpo. The Milwaukee Bucks and Phoenix Suns are finalising a deal that would send point guard Eric Bledsoe to the Bucks for backup center Greg Monroe and a future first-round pick, according to ESPN’s Adrian Wojnarowski and Zach Lowe. The deal comes while Bledsoe has been in exile from the team after reportedly expressing interest in being traded. He’s played just three games this season. If the deal goes through it looks like a stellar one for the Bucks. The Bucks lose an offensive-minded center in Monroe, and giving up a first-round pick is always risky, but a healthy Bledsoe could bring the Bucks to another level in the East. The move could drastically help Giannis Antetokounmpo, who has taken his game to another level this season, but is currently the key focus of opposing defences. Antetokounmpo is currently third in the NBA in usage percentage and second in field-goal attempts per game. The Bucks could ease the burden on Antetokounmpo by playing him off the ball more next to Bledsoe, and vice versa, as Antetokounmpo could help Bledsoe be more of a scorer. Bledsoe also fits the Bucks’ overall scheme. As ESPN’s Kevin Arnovitz broke down, the Bucks have built a foundation of long, versatile players in hopes that length and athleticism could give them a natural physical edge over opponents as their young talent develops. Bledsoe is 6-foot-1 with a 6-foot-7 wingspan and one of the more explosive guards in the NBA. That the Bucks didn’t give up any players of tremendous value helps, also. They kept Rookie of the Year guard Malcolm Brogdon, whose length, defence, and shooting is key next to Antentokounmpo; they kept long, rangy wings and bigs like Khris Middleton, Tony Snell, and Thon Maker; and they didn’t give up Jabari Parker, who is making his way back from a second ACL tear. The Bucks maintained their depth and increased their overall talent. While trading first-round picks can be risky, Bledsoe has great value for the Bucks. He has another year left on his contract after this season (for $US15 million), and the chances of a late first-round pick (assuming the Bucks make the playoffs) contributing more to the win-now Bucks than Bledsoe are low. The East currently has no standout teams. The Celtics are on a roll, but they’re without Gordon Hayward and relying on big production from young players. The Wizards look improved, but just lost to the Cavaliers, who have been one of the worst teams in the league this season. The Cavs, of course, will always be in the conversation for Eastern title contenders because of LeBron James, but they have never looked more vulnerable. This could be the Bucks’ time to make a move, and there is still room to grow.